To embed a video in the post, simply paste the video embed URL in the content editor (note: it must be a plain text URL, not a clickable link or iframe or object embed code). 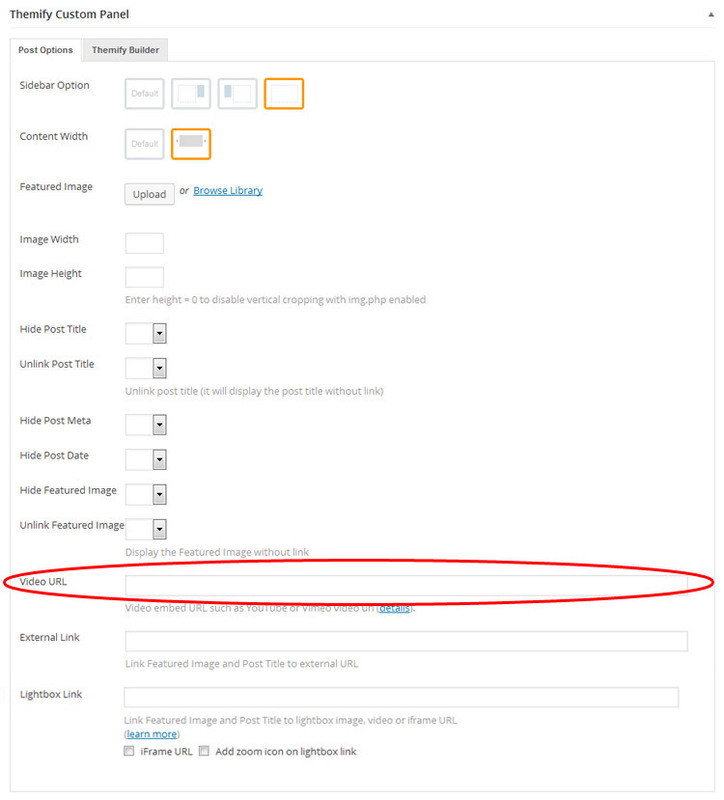 WordPress will convert the video URL into a video embed automatically using the embed feature. Note that not all video providers are supported, read the official embed documentation for more details. Some of our themes come with the Video URL input field in the post's Themify Custom Panel. You may also insert the video URL there. If the post contains Video URL custom field, it will display the video rather than the Post Image. In other words, the Video URL in the custom panel has higher priority. If you are using a responsive design theme and embedding the videos using the traditional embed code (such as iframe or object tag), you need to add a <div class='post-video'> wrapped around the embed tag to make it responsive. The .post-video class in the stylesheet will make the video responsive.